The 7-passenger 2015 Mitsubishi Outlander is one of Mitsubishi’s safest vehicles on the road. The 2015 Outlander received a Top Safety Pick + from the IIHS in 2014, the highest safety achievement for vehicle research and crash test ratings! Learn more about the bold, comfortable, spacious 2015 Mitsubishi Outlander at Carriage Mitsubishi today! 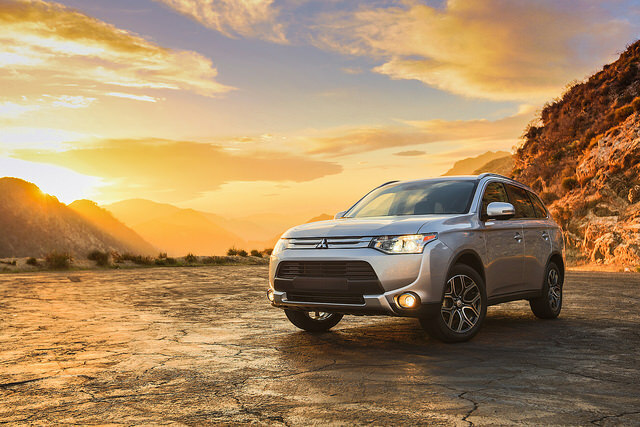 The 2015 Mitsubishi Outlander ES and SE run on a 2.4L MIVEC SOHC 16-valve Inline 4-cylinder engine generating 166 horsepower and 162 lb-ft torque. 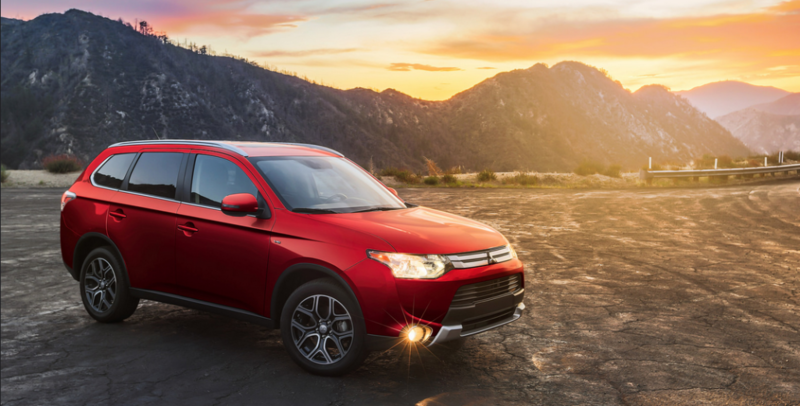 For an SUV, the 2015 Outlander ES and SE get impressive fuel efficiency. These trims achieve up to 31 mpg highway and 25 mpg city*. The 2015 Mitsubishi Outlander GT S-AWC has even more power, operating on a 3.0L MIVEC SOHC 24-valve V6 engine, generating 224 horsepower and 215 lb-ft torque, and achieving 28 mpg highway and 20 mpg city*. The 2015 Mitsubishi Outlander’s sleek, bold exterior is enough to get anyone excited to drive! The 2015 Outlander has amazing standard features including: auto-off halogen headlights, rear combination tail lights, color-keyed front and rear bumper with silver accent, color-keyed outer door handles, roof carrier plug-in accommodation, front grille with silver accents, heated side view mirrors, rear privacy glass, and a temporary spare tire. We know it’s hard to believe, but there is more to the interior of the 2015 Mitsubishi Outlander than just being able to seat up to seven passengers comfortably! Some of the standard interior features include: a monochromatic multi-information display, gloss black instrument panel, an ECO indicator light, deluxe fabric seating surfaces with stitching, automatic climate control, a leather-wrapped steering wheel, an AM/FM/CD/MP3 audio system with 6 speakers, FUSE Hands-free Link System® with USB/iPod® port, steering wheel-mounted audio controls, remote keyless entry with panic feature, ECO mode switch, and cruise control. Some of the standard safety features on the 2015 Mitsubishi Outlander include: Hill Start Assist, Anti-lock Braking System (ABS) with Electronic Brakeforce Distribution (EBD) and brake assist, Traction Control Logic, Tire Pressure Monitoring System, 7 standard airbags, advanced dual-stage front airbags, and an anti-theft security alarm system. Be sure to stop into Carriage Mitsubishi and take a drive in the all-new 2015 Mitsubishi Outlander today! With our large inventory, our team here at Carriage Mitsubishi loves helping our customers find the perfect new car or used car for them! Please feel free to contact us if you have any questions or would like to schedule a test drive!